How much is John Gotti Worth? 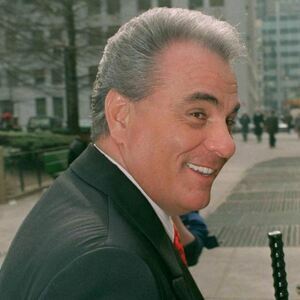 John Gotti net worth: John Gotti was an American mobster and crime boss who had a net worth of $30 million at the peak of his criminal empire (after adjusting for inflation). 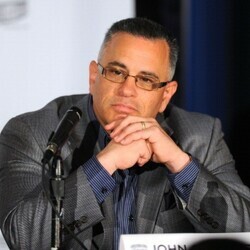 John Gotti was born in The Bronx, New York City, New York in October 1940 and passed away in Jun 2002. He was the boss of the Gambino crime family out of New York City. He grew up in a poor family and quickly rose to power becoming one of the biggest earners in the crime family and a protégé of underboss Aniello Dellacroce. Gotti organized the murder of boss Paul Castellano in 1985 and then took over the crime family. The family made hundreds of millions of dollars each year from a combination of loan sharking, construction, gambling, hijacking, and extortion. 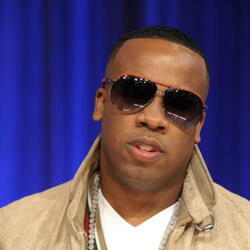 According to the book "Underboss", the Gambino crime family's annual turnover was $500 million. In the same book, Sammy the Bull Gravano claimed that in a typical year he and Gotti both earned $5 million and tht in many years they both earned $10-15 million. Gotti was known for his flamboyant style and outspoken personality and came to become known as "The Dapper Don" and "The Teflon Don" for being acquitted in three high-profile trials (which were trained by jury tampering, witness intimidation, and juror misconduct). The FBI tried to take Gotti down for quite some time but were finally helped by underboss Salvatore "Sammy the Bull" Gravano. Gotti was convicted on multiple counts including five murders, racketeering, conspiracy to commit murder, illegal gambling, obstruction of justice, tax evasion, loansharking, and extortion in 1992. He was sentenced to life in prison without the possibility of parole and served in Illinois. John Gotti passed away from throat cancer on June 10, 2002 at 61 years old.